Cad Lisp and Tips: Tip : OOPS!!! While using several commands after erase an object we want to keep the erased object in place without affecting any on the newly placed objects. Here, we are using OOPS command. 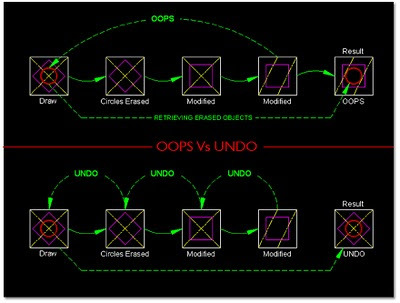 The UNDO command will retrieve the last command but at the same time, the OOPS command will retrieve the last erased object without affecting any on the newly created objects. 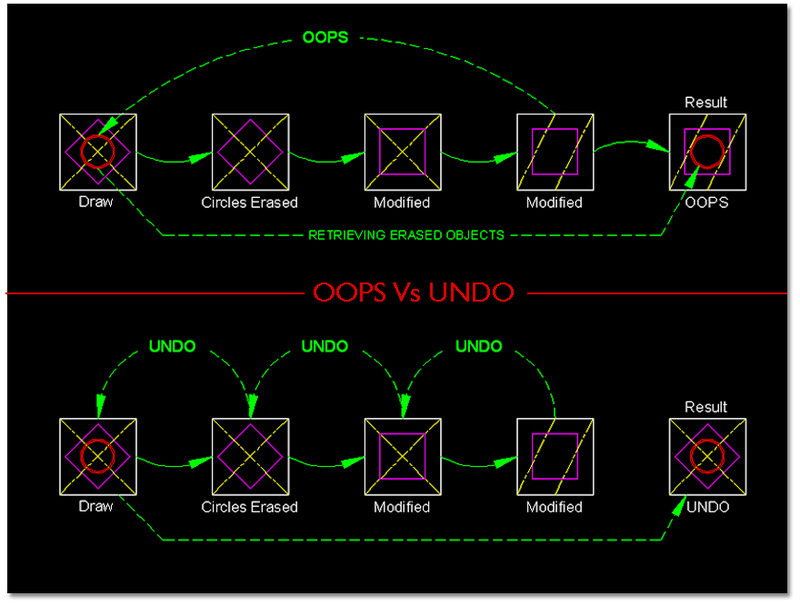 This shows the advantage of OOPS command compared to UNDO command. OOPS will not work to restore objects on a layer that has been removed with the PURGE command.